Intrinsically disordered proteins (IDPs) are biomolecules that do not have a definite 3D structure; their role in the biochemical network of a cell relates to their ability to switch rapidly among different secondary and tertiary structures. The emergence of IDPs has challenged the classical protein structure-function paradigm. IDPs play an important role in cellular regulation, signaling and control in health and disease. However, the unusual biophysics of these proteins makes structural characterization of IDPs and their complexes not only challenging but often resulting in opposite conclusions. This book studies the structural characterization and future directions of IDPs. 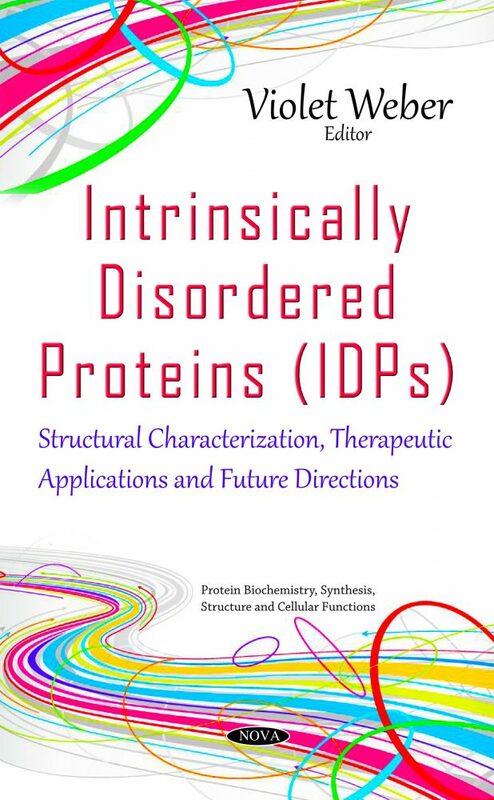 Chapter One focuses on the DNA-binding IDPs and how intrinsic disorder affects their function. Chapter Two discusses the use of a computer atomistic simulation for the structural analysis of IDPs. The final chapter, Chapter Three, examines two long-standing contradictions concerning dimerization and membrane-binding activities of IDPs; provides an explanation of these discrepancies; and demonstrates how the resolution of these critical issues in the field results in the expanded understanding of cell function with multiple applications in biology and medicine.